Eight-year-old Koran Prou leaps to activate the launch of an air-powered rocket at Cornell Cooperative Extension of Jefferson County’s Space Night, held Nov. 9 at Case Middle School in Watertown, New York. One of those experts was Nate Rogers, a Cornell doctoral student in mechanical engineering who studies deformation mechanisms in metallic thin films. Watertown 10th-graders Mallory Loving and Illianna McCaskill were interested in studying the impact of microgravity on the corrosion and structural integrity of metals, and they consulted with Rogers via phone and email on what sorts of materials they could investigate, the appropriate sizes of samples and where to source them. Rogers said he was pleased to offer his knowledge to help the students, and as a student whose research is funded by the National Science Foundation, he said he has a responsibility to pursue outreach and share what he knows. “We need to give back and make sure what we’re learning and doing has an impact on people outside our technical disciplines,” Rogers said. Gavin Harris, a 9-year-old at North Elementary School in Watertown peers through a Celestron Powerseeker Newtonian Reflector Telescope. Harris’ experiment proposal, “How Does Aloe Vera Grow in Microgravity?” was one of three finalists chosen to compete for a potential spot on the International Space Station next summer. McCormick said CCE Jefferson provided the bulk of the funds for the students in the after-school program to participate in SSEP, which is a program of the National Center for Earth and Space Science Education (NCESSE). SSEP is enabled through a strategic partnership with DreamUp PBC and NanoRacks LLC, which are working with NASA under a Space Act Agreement as part of the utilization of the International Space Station as a national laboratory. 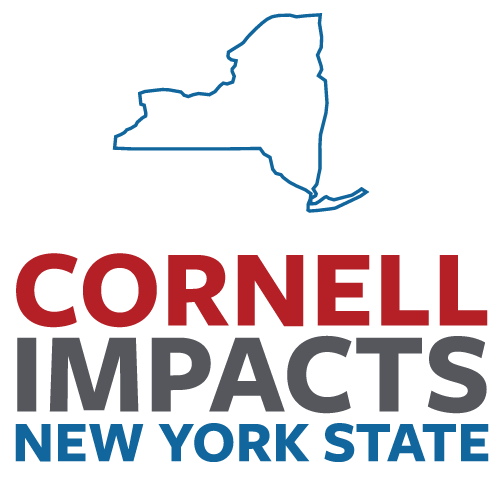 Other funders include the New York State 4-H Foundation, Cornell’s New York State Space Grant, the Indian River Department of Defense Education Act Program and donors. Now that the field has been narrowed to three finalists, the SSEP National Step 2 Review Board will select the top proposal in the coming weeks, said McCormick. The winning team will create the experiment inside a flight certified mini-laboratory provided by the center, and their experiment, along with 40 others, will launch aboard a SpaceX rocket in 2019. Merry R. Buckley is a writer and researcher in the Office of University Relations.